As a general rule, in directive 89/108/EEC, all foodstuffs should be carried or stored at or below the temperature marked on the product packaging (or trade documents). Frozen cargo must be kept at -18°C or lower. Or as a minimum the temperature marked on the product packaging. Some EU countries will allow temporary increase of temperature to -15°C during stuffing and unstuffing. Maersk Line recomments to always to ship frozen cargo at -21°C or colder, to secure optimal cargo quality and to avoid rejection due to temperature deviations. Packaging material for frozen products does not require air holes in the top and bottom of the cartons. By continuously circulating cold air around the cargo, heat entering the cargo space through the container walls, will be removed. The cartons should be stacked directly on top of each other, to take advantage of their strength in the corners. 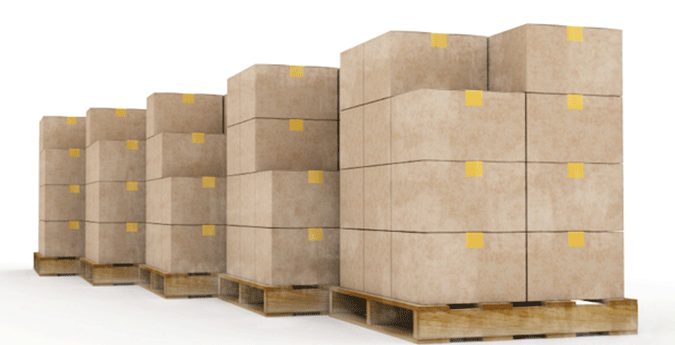 If palletized, the corners of each carton should be supported directly by the pallet. The stowage requirement is solid block stowage, leaving no space between the pallets/cartons and no space between the cargo and the walls of the container. The packaging material must be able to support a stacking height of up to 2.4 meters (7’10”). We recommend a pallet size of 100x120 cm (40x48 inches) as this enables optimal stowage. It is important that all cargo is stowed below the red load line to allow proper airflow.